It was in 2012 when, Herbert the rowing coach from our Club ask me to make a video about rowing. He told me that he is really impressed by my videos he watched. It’s my hobby to film and edit movies, so I was really excited about this idea. Some days before we meet again. We collect some ideas for the video. 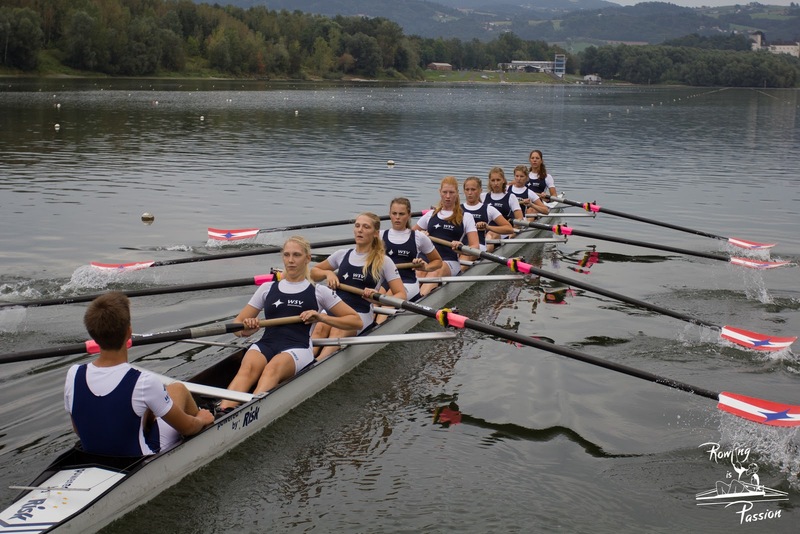 We watched some videos online for example “Bis ins Koma” (a film about a German boat) and the rowing sequence from the “Social network”, but soon we found out, that there are not that much videos online concerning rowing. 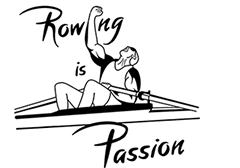 The actual purpose for “Rowing is Passion” was to go in schools near our city and show young kids the video to motivate them and involve rowing in Austria. But afterwards we saw, that only a few videos are online, so we decided to publish the clip. Everybody should see this “motivation” rowing video, everyone should suddenly feel the passion of rowing and go out on the water and enjoy this sport. On the 25th of August (2012) we started the Project at 8 o’clock in the morning. I was really surprised that 50 athletes were at the course. Everybody from the club was here- athletes of every age group. Of course that was more motivation for all of us to make a good video. 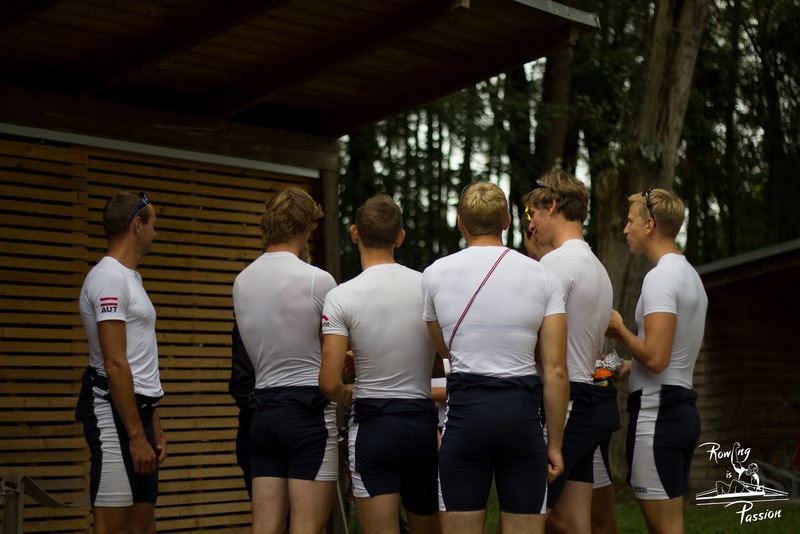 We started with the men’s eight. We filmed how they got into their boat. Afterwards, they practiced their training and we had time enough for all the other boat types. 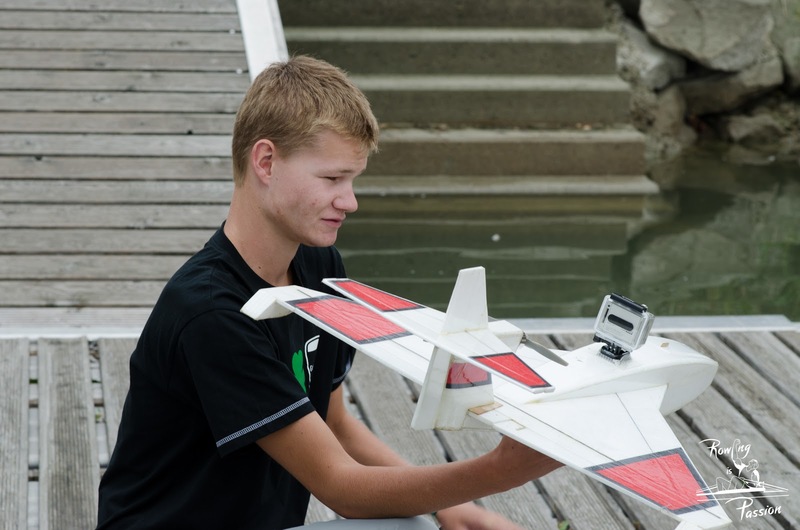 We filmed with the GoPro cameras on the model-airplane and on the telescope stick. We tried to get as many shots as possible to have more raw materials for editing. In the afternoon at 3 o’clock we finished recording. So my real job began: editing all the material and bringing out the best of it. By the way: thanks to all, that were present and helped us. Thanks to all athletes takeing time for filming. We decided to record all video in 720p and 60fps – this gives us more flexibility with Slow motion shots! The next week I watched all the raw material we recorded and I was thinking about the music I should take. Then I started the editing! I used Adobe Premiere Pro CS5 and Adobe After Effects CS5 for cutting and editing, the wasteful point was the video stabilization, because most of the material we filmed on the motorboat and we got out a lot of shaky footage! This takes so much time, I tried some automatically plugins but they didn’t produce the result I was thinking of, so I decided to stabilize all footage by my own with After Effects and Motion Tracking! Damn, this took me a lot of hours. The last point was the color correcting! That was a bit of a problem! Because we had different Cameras! 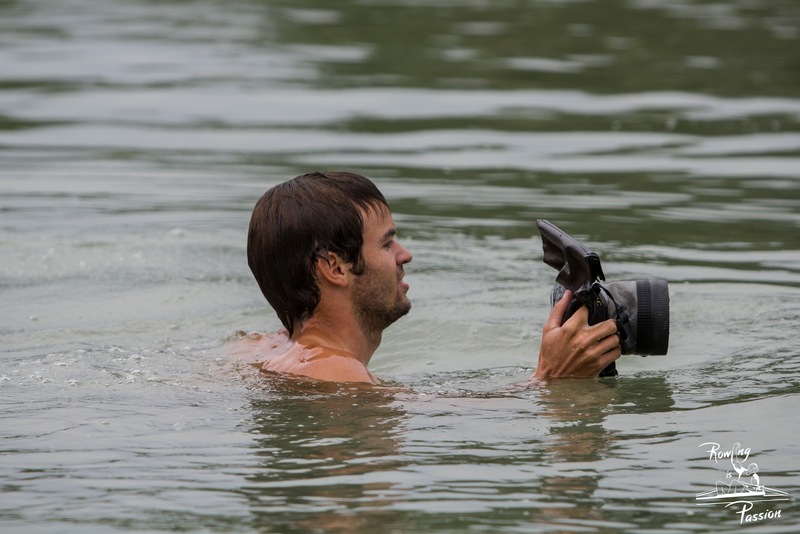 The Canon produces different colors than the Nikon and the GoPro Cams. So I tried to bring all the footage in a line. I changed brightness and contrast a little bit, played with the luminescence curve and RGB- Curve and so we got the video you are watching right now. I have a lot more footage, which is not in the main video- Check it out in the BTS (Behind the scenes) video.